Presenting the NEW GIRL ORDER …. About DJ Chela: .. Dj Chela is the DJ for the next generation representing her values and music with passion. North Carolina-born now based in New York, she has been making her imprint in clubs, radio, mixtapes, live shows and battles as well as in social justice and healing movements. Her live sets are a dynamic mixture of Hip Hop, rock, Latin rhythms, reggae, funk, soul, disco, house and more mixed with a turntablist sensibility, which she has shared with audiences in Latin America, Asia, Canada, and across the US. In 2009 she was the Winter Music Conference Spin Off battle runner-up, and also placed 2nd in the She’s My Dj Battle in 2007. Her mixtapes earned her three nominations for the Justo’s Mixtape Awards. She has DJed for Saigon, Pharoahe Monch, KRS ONE, Immortal Technique, Mystic and Ladybug Mecca, and has been featured in The Source, Allhiphop.com, Scratch Magazine, and Ozone Magazine. Catch her weekly show on the legendary producers Beatminerz Radio (www.dabeatminerz.com) Mondays 4-6pm. …. For more information visit www.chelaonline.com .. .. What others are saying about DJ Chela… .. Chela is a true conduit of information and definitely a stop on the Underground Railroad. – M1 of dead prez .. .. DJ Chela may just forever change the female Hip-Hopper and get them off that damn endangered species list. 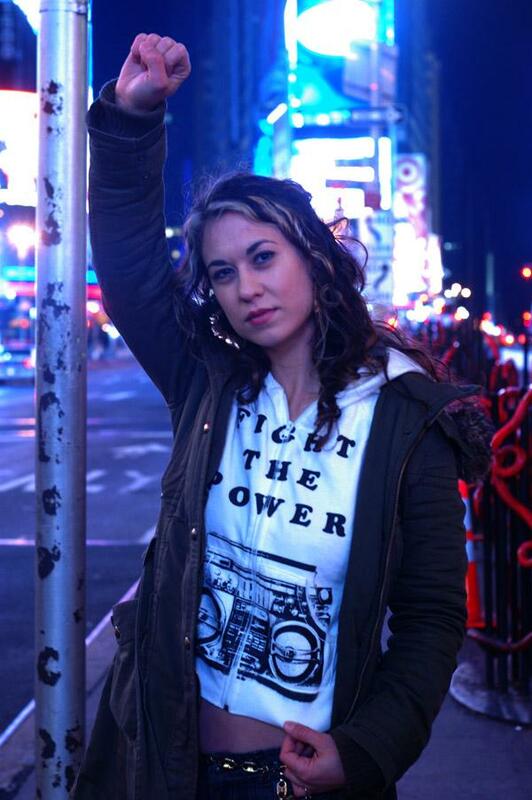 – Allhiphop.com .. .. Chela is as essential to Hip Hop’s Political scene as some of the dope records she spins that are found in her crates. Chela redefines beef by not battling other emcees and deejays, but instead she stays bringing crazy heat to this oppressive system. – Davey D, www.daveyd.com .. .. Chela is the hottest female DJ in the country. – Saigon .. .. When I heard her muppet/chop combos, I knew Chela was no joke. – DJ Soundmachine ..